Platelet-Rich Plasma (PRP) therapy is a non-surgical procedure provided by the physicians at Gelb Sports Medicine and Orthopaedic Center. This modern procedure has received increased attention within the world of sports medicine as of late, due to a number of high profile professional athletes, including Kobe Bryant, Rafael Nadal and Alex Rodriguez opting for PRP to aid in their recovery from injuries. Individuals suffering from tendon-related injuries, such as those of the elbow, shoulder and knee may be candidates for receiving PRP treatment, as well as for individuals suffering from osteoarthritis and other degenerative diseases. One attractive element of Platelet-Rich Plasma therapy is that the patient is treated with their own blood, so it’s unlikely that the body will reject treatment. The process begins with a small amount of blood being drawn from the patient. Blood platelets are then separated from red and white blood cells by a process known as centrifugation – separation occurs from applied centripetal force. Once separated from the other blood cells, plasma is extracted with a high concentration of platelets. Platelets are best known for their important role in blood clotting, however they also contain large amounts of bioactive proteins, including growth factors that are helpful for tissue repair, recovery and regeneration. 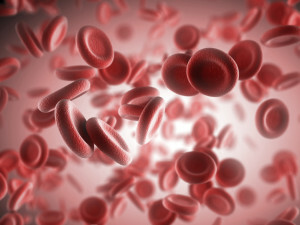 The Platelet-Rich Plasma is then injected directly into the area of injury. Treatment with PRP Therapy can be applicable for patients young and old. Platelet-Rich Plasma may be used to assist the body in healing after surgery or employed to treat injuries that do not require surgery. PRP therapy is useful for treating a number of sports-related injuries. Baseball pitcher overuse injuries, tennis elbow and a number of stress and trauma related joint injuries may benefit from PRP Therapy. While applications for Platelet-Rich Plasma Therapy are extremely promising, the procedure is not recommended for all injuries across the board, but is considered and recommended on a case by case basis. If you have questions about Platelet-Rich Plasma (PRP), please contact Gelb, M.D. Sports Medicine and Orthopaedic Center.